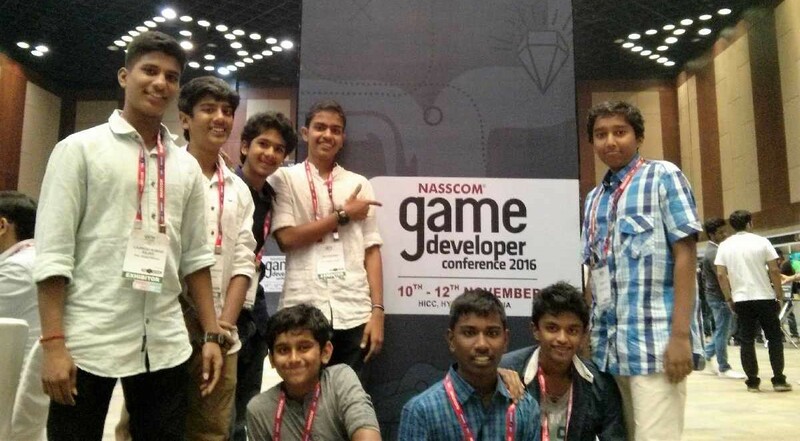 Upon winning the Game Jam Titans 2016, the Video Game (VG) TED students were offered the opportunity to attend a 3-day VG developer’s conference held by the National Association of Software and Services Companies (NASSCOM). 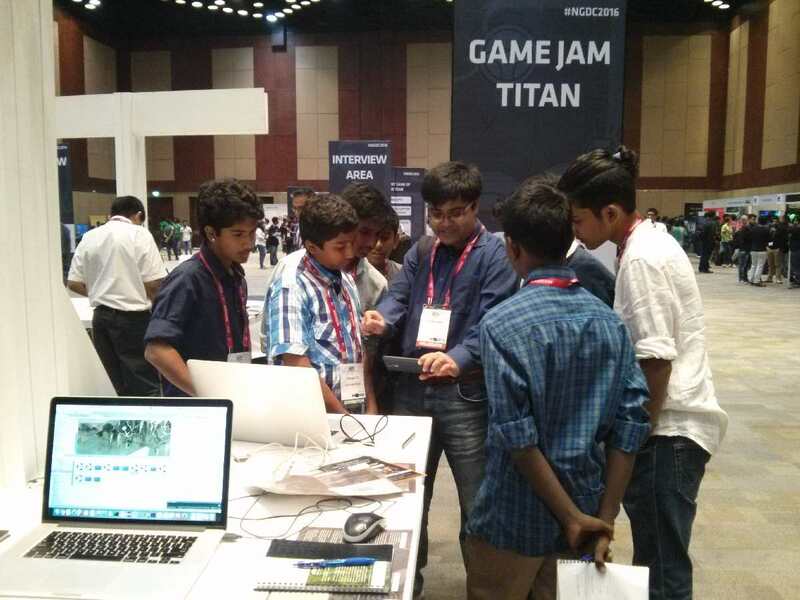 The NASSCOM Game Developer Conference 2016 took place between the 10th and 12th of November, in Hyderabad, during the school mid-year break. 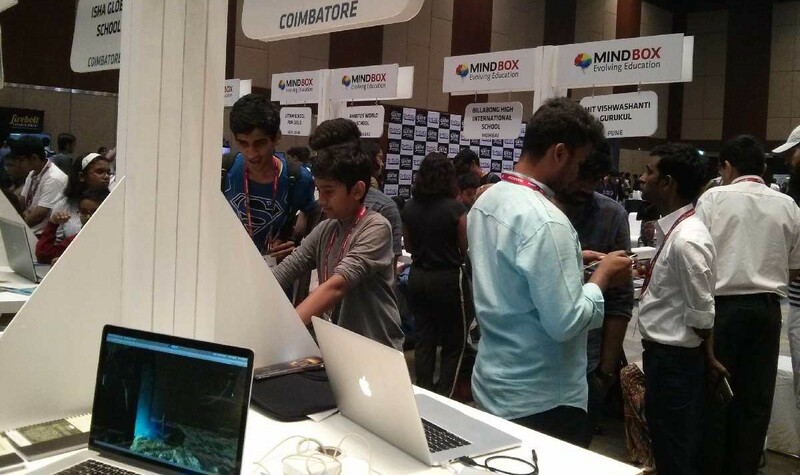 Professionals, from all over the world, usually attend the conference, which provides an opportunity for various budding game developers in India to interact with experts in the VG industry. Many studios attend this conference as well, and each studio has its own booth. Representatives from universities attend the conference, too, and talk to students like us. They advise students about the various careers in the industry. Throughout the day, famous individuals in the industry give talks in the adjacent halls. We met with Ayman anna on the 9th in Hyderabad. We could not attend the conference the first day, since it was only for professionals. On the 9th and 10th we researched about all the individuals and studios attending the conference to make our individualized schedules. On the 11th, we arrived at the venue, Novotel Hotel, where we were given our ID cards. We proceeded to the main hall where all the booths were located. Our school had 2 stalls, wherein we set up all our laptops to showcase the various games we had developed in IHS. After 30 minutes, the hall was flooded with guests. Many visited our booths and were quite amazed with our presentations. Some of us stayed back in the booths, while others went to attend the various talks. Each talk was approximately 1-2 hours long, followed by a question answer session. After we had attended our chosen talk, we would proceed back to the stall and swap with the students at the stall. Some time in our schedule was allotted to roaming around the hall and visiting the other stalls. During this time, I found many cool stalls. Some studios invited people to play their games in their stall. That was our favorite type of stall. The conference ended at 8:00pm that day, and after dinner, we returned to the hotel feeling tired, and crashed the moment we saw our beds. The second day was similar, but we had a little more free time as there were lesser talks. When we visited the stalls that second day, we got many amazing posters. We also got to talk to many university students, and learnt a lot about the best universities in India. We spoke to a few individuals who were running studios; one of the studios even gave Harsshavardhan and myself an internship offer after graduation! The event concluded around 6 that evening. Overall, the trip was a great experience. We learnt things we could not have learnt elsewhere. We also learnt what it takes to be in a VG studio, and what challenges developers go through to produce those discs that we see in stores.